The resort is located on the beach in the peaceful village of Amed, in the north-eastern tip of Bali, enjoying the spectacular sunrises over the neighbouring island of Lombok. The area is known for world-class snorkelling and diving conditions, which makes Amed an interesting place to visit if desiring to see the amazing luxurious underwater scenery and abundance of the marine life. 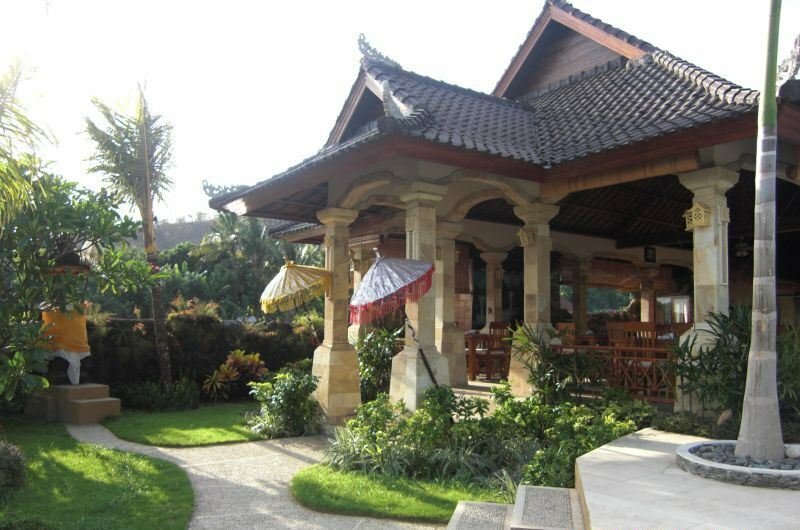 This stunningly located property has been designed in a comfortable Balinese style and is surrounded by beautiful lush tropical gardens, offering a stylish and tranquil environment. This lovely hotel is in Amed. With a small number of only 10, this establishment is very convenient for a quiet stay. The hotel includes Wi-Fi internet connection in all public areas and rooms. The reception is open 24/7. Palm Garden Amed Beach & Spa Resort does not offer cots on demand. This is not a pet-friendly establishment. "The Griya features 14 intimate and luxurious villas. 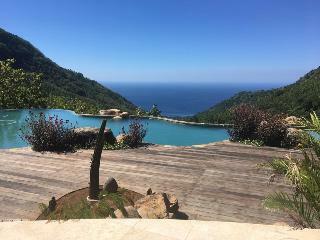 Each villa offers a private infinity pool and stunning vistas over the ocean and the neighbouring hills. We guarantee that you will thoroughly enjoy the very warm and tropical atmosphere, as well as the absolute peace and tranquillity.Our architect's vision has been to set the resort in a natural haven, by blending the sloping contour of the land - with the spectacular sea and mountain views - together with natural and specific materials, all indigenous from Bali. 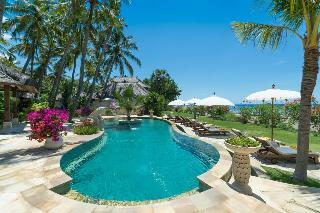 The traditional Balinese design of the villas has been combined with a very contemporary look-and-feel. Each villa is stylishly furnished with state-of-the art interiors, entertainment systems, lighting and the finest furniture and fittings to match today's standards of luxury. This lovely hotel is situated in Amed. Santai Hotel is a relaxing oasis that guarantees a quiet stay as it counts with just 10 accommodation units. Indonesian-style accommodation with private terraces. Nestled within a tropical garden, it features an outdoor swimming pool, a spa and free Wi-Fi.Easy access to beach with famous diving and snorkelling spots. 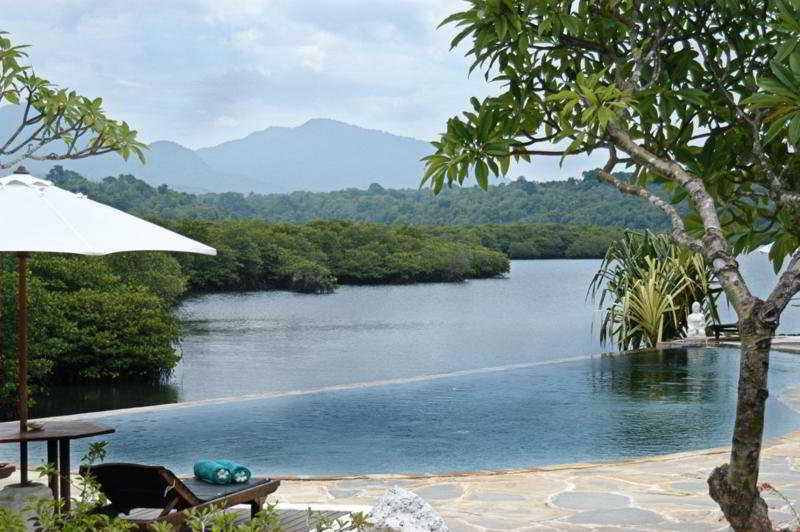 It is located a 20-minute drive from Tirta Gangga Water Palace and 30 minutes from Tulamben Beach. It takes an hour's drive from the hotel to Candidasa and two and a half hours to Ngurah Rai International Airport. 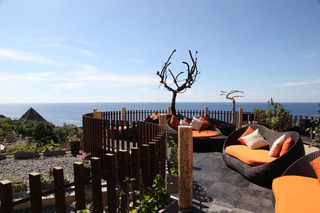 Mathis Lodge is located in the pristine area of Amed, East of Bali. With spectacular panoramic views of the valley and the sea, this property of 2 hectares is nestled on the heights of the Lean Valley, surrounded by lush green backgrounds. The 20 lodges are set in a natural environment (some with private pools, Jacuzzi or family-extension) and offer spectacular views of the sea ( 400m altitude). Feature includes : infinity pool overlooking the mountains and the sea, restaurant and bar, massage/spa area, outdoor Jacuzzi, WIFI, Electric cars to travel through the property. A feeling of total immersion in nature in a unique Balinese landscape.